With the permission of the Chair of Council, urgent questions can be raised by Councillors. The special circumstances are that Councillors did not know of the write off of £52,000,000 (I believe it will actually be far, far more than this) of Newham residents money until we became aware of external press reports on Friday 1 December which was after the usual deadline for submitting questions. We believe that the largely unexplained loss of such a huge amount of money at a time we are facing savage cuts from central government is extremely important to the Council and our residents. It is absolutely imperative that these questions should be heard and that the Council is not only open, honest and transparent after such a debacle but most importantly learns lesson and does not repeat such follies in the future. Newham Council reported on Friday 1 December 2017 that it has lost its entire £40 million loan/investment in the E20 London Olympic Stadium and another £12,200,000 in additional working capital (£52,200,000 in total). It is believed that taking into account lost interest payments, South Park monies, and legal Newham Council reported on Friday 1 December 2017 that it has lost its entire £40 million loan/investment in the E20 London Olympic Stadium and another £12,200,000 in additional working capital (£52,200,000 in total). 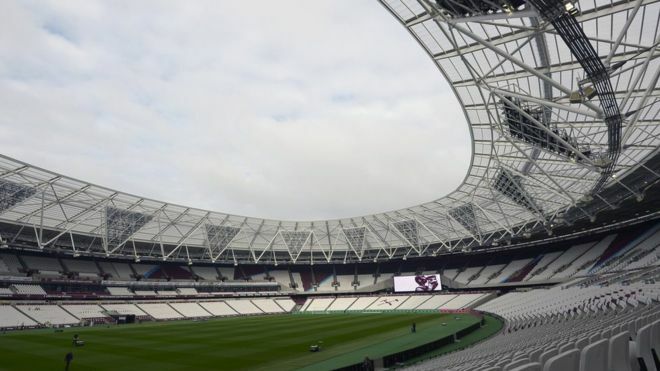 This follows the publication of the Moores Stephens report, commissioned by the Mayor of London to look into matters concerning the London Stadium, which states that its 'does not absolve any third party from conducting its own due diligence in order to verify its contents'. It is believed that taking into account lost interest payments, South Park monies, legal and other advisor fees that the final loss to Newham Council will be much higher. Councillors are extremely concerned that they were not aware that there was any significant problems with this investment until an impairment on the draft accounts 2016/2017 was noticed by Investment & Accounts/Audit Committee. The Chief Executive appoint either a suitably experienced senior barrister or retired high court judge to launch an independent enquiry into all aspects of our involvement in E20 and make suitable recommendations in public to ensure that public money is not put at risk again in the future. Q2. Bearing in mind Q1 above will it not be right to put a halt to any future investment into Red Doors Ventures or buying commercial properties until there is a proper independent investigation into our financial governance and investment procedures and make sure that we do not have any more such financial disasters.